Implementing Oracle and SAP identity management is a great start to stronger security and cost-effective user account management, but their system really do not go far enough to offer a truly comprehensive identity management experience. However, once you pair SAP identity management with Avatier Identity Management Software (AIMS) you have implemented a world-class solution to the identity management problem. Avatier Identy Management Software (AIMS) solutions work in conjunction with SAP, Oracle and Microsoft. Avatier identity management goes beyond Oracle, SAP and Microsoft identity management by providing an automated password reset and user provisioning options for business user administration, which results in the reduction of costly calls to the help desk as well as lost time while an employee waits for help. Avatier not only provides this service, it streamlines the process so a password reset happens quickly and securely. If you look at the numbers, you will notice from the Oracle Identity Management market share and the Microsoft Identity and Access Management Series market share that they are Avatier competitors. However, Avatier offers features they just cannot. 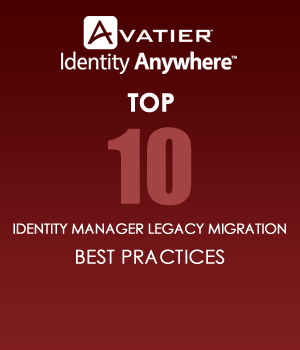 Avatier is more affordable than Oracle Identity Management, not to mention easier to deploy. Likewise, Microsoft Identity Management does not offer an automated self-reset for passwords, and neither one operates on 38 different platforms in over 30 different languages, as Avatier.